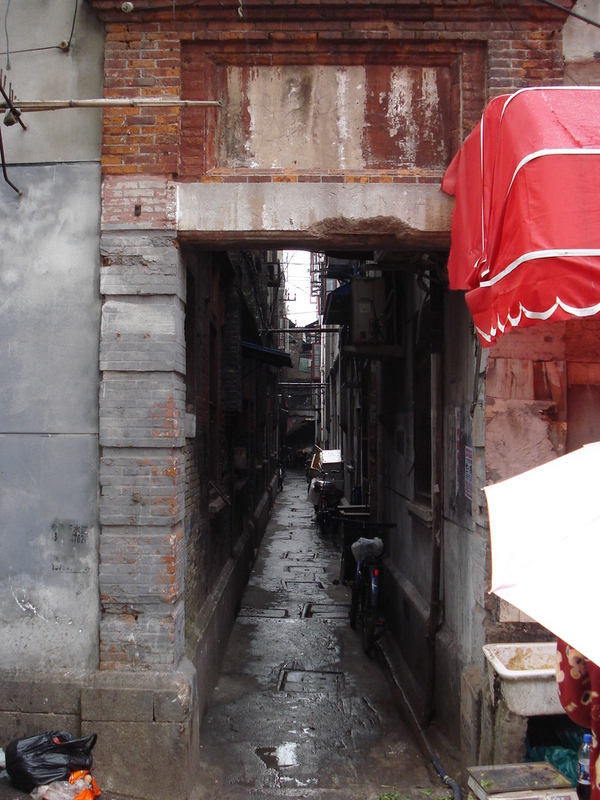 Shanghai was once known as the Paris of the East. Today it is referred to as the Pearl of the Orient. 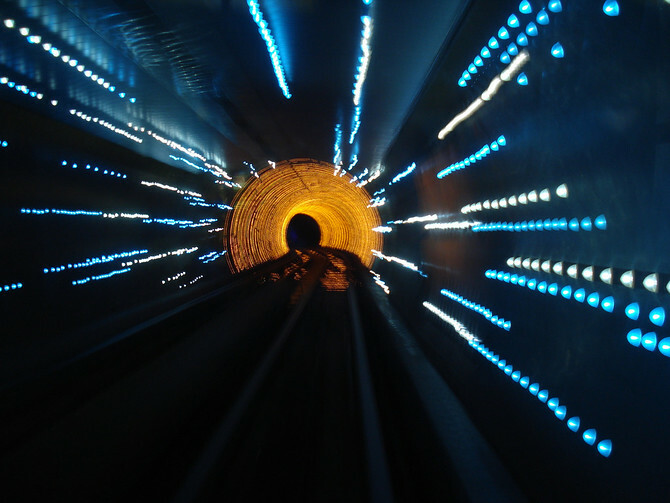 Along the Shanghai river front is where you can see the best of Shanghai’s past and future in one spot. 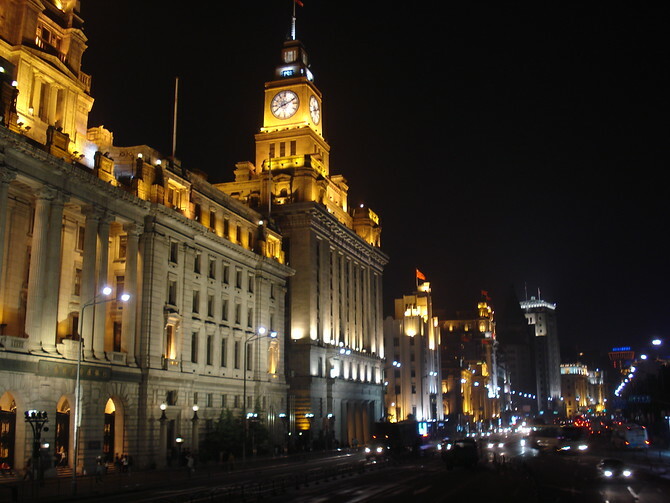 The Bund is part of the former International Settlement on the Huangpu River. 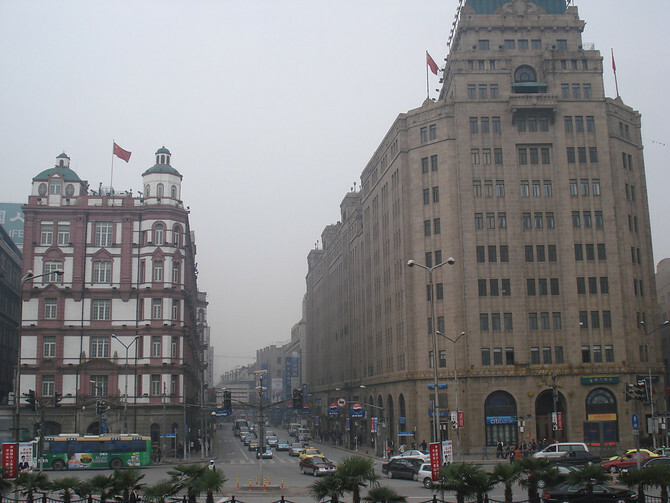 Zhongshan Road runs adjacent to the river and it is here where the classic buildings can be found. 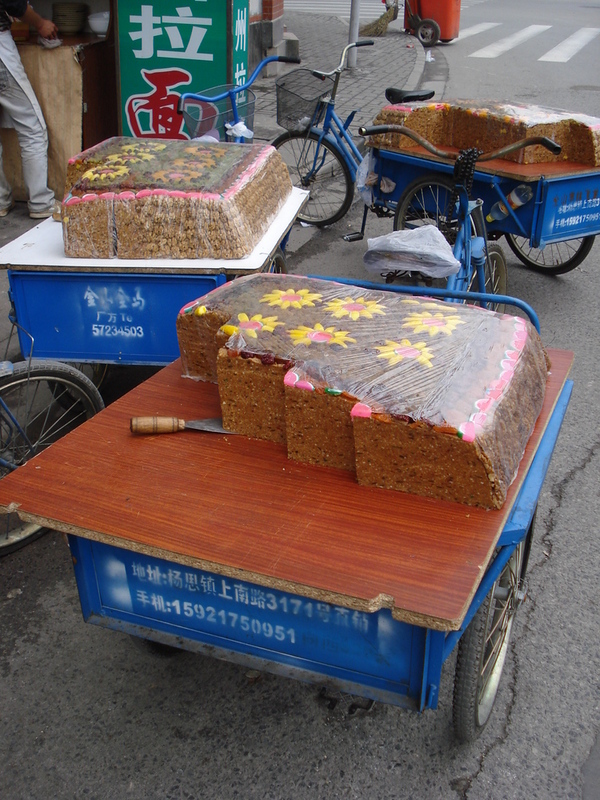 These food vendors can be found on the streets of Shanghai early in the morning. I don’t know what they are exactly,the name so I have been calling them Chinese Breakfast Burrito’s. 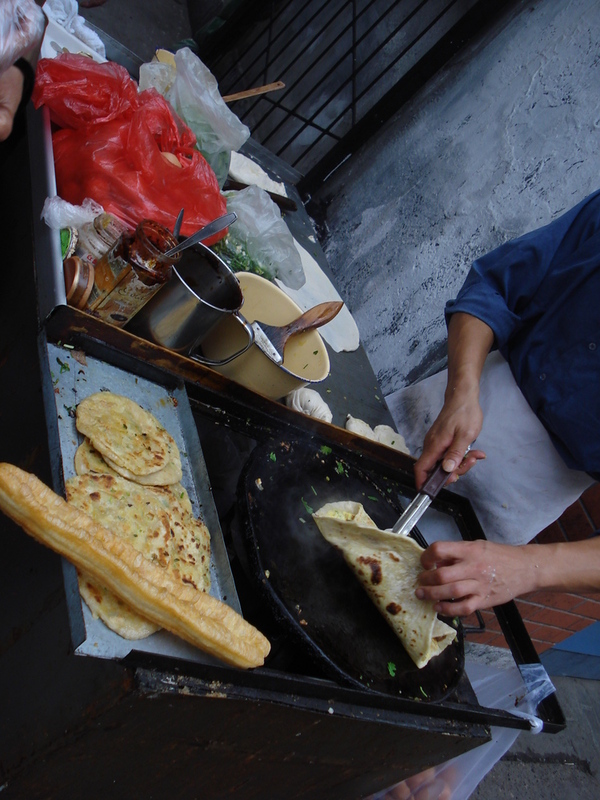 There are 2 eggs, onions, sauces and spices inside the wrap and they cost about 2 RMB (30 cents USD). 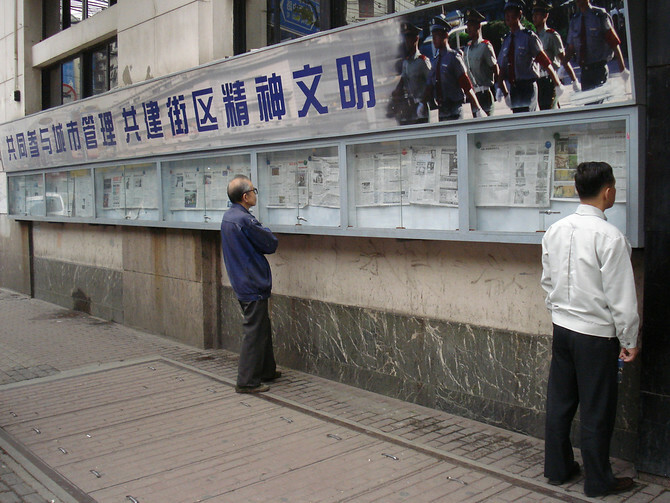 Public newspaper reading in Shanghai, China. 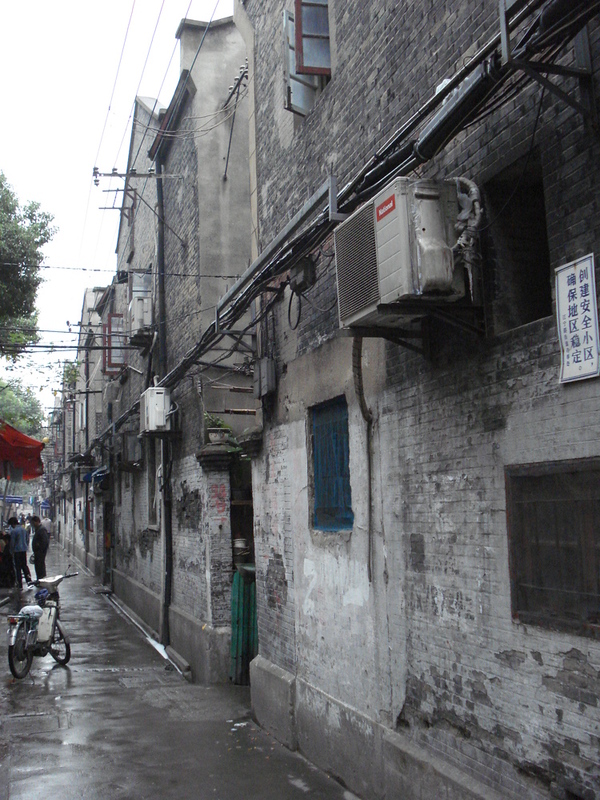 Shanghai is a great city to walk around and explore the older residential areas with their back street laneways (known as linongs in Shanghai and hutongs in Beijing). 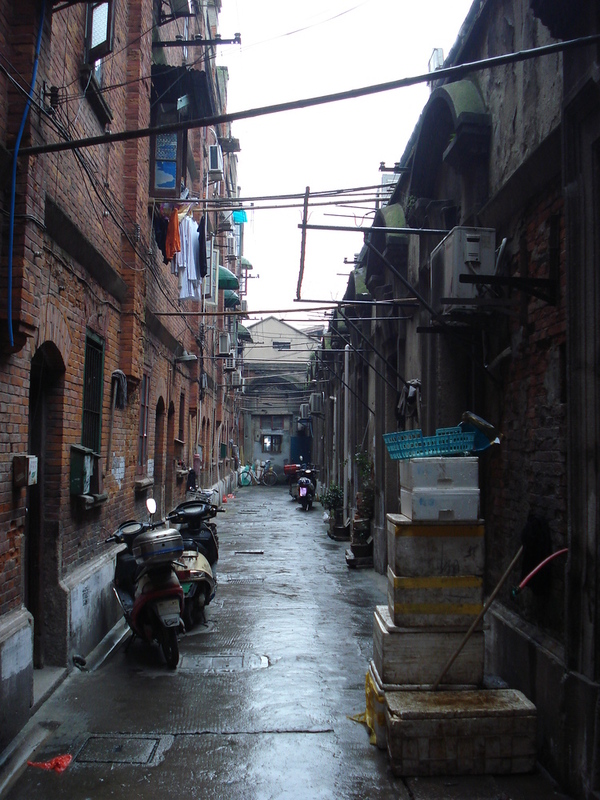 This old part of Shanghai is disappearing fast as high rise devolopment eats up more of the old neighbourhoods every year. 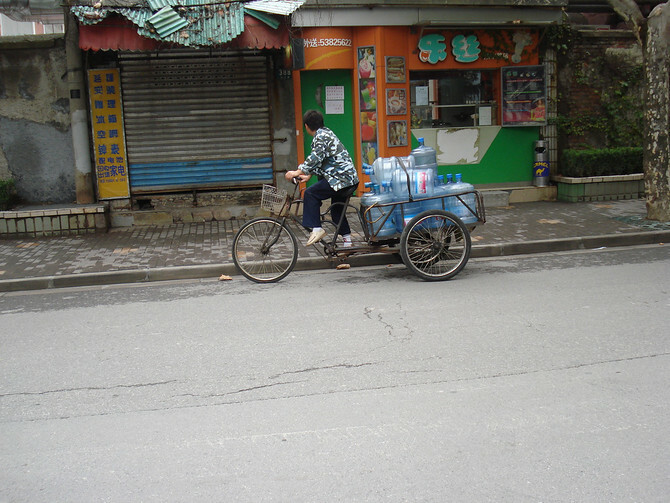 I have been walking around with someone who has been coming to Shanghai for over 10 years. He has pointed out to me skyscrapers that sit where old markets used to be. 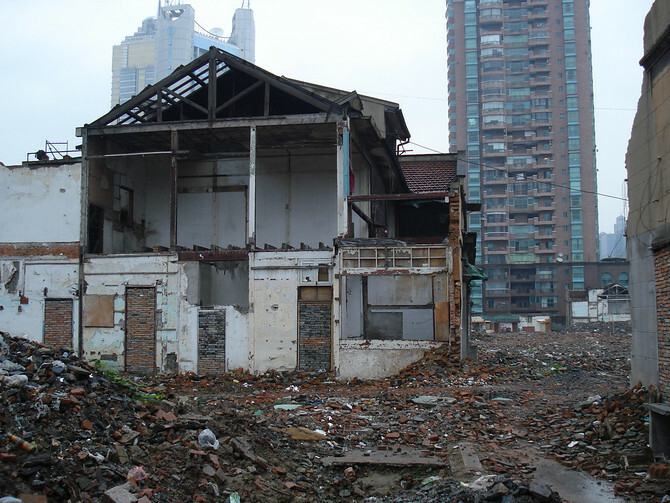 An all too common site are these whole blocks of demolished neighbourhoods. 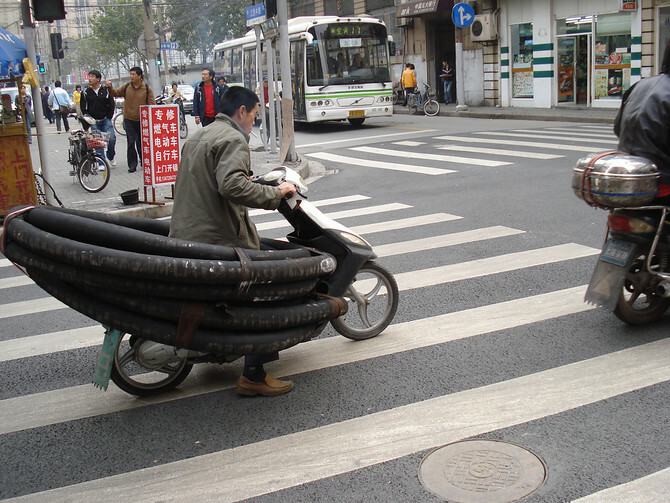 The car may be taking over life in China at a rapid pace, but bikes still rule the streets for now. 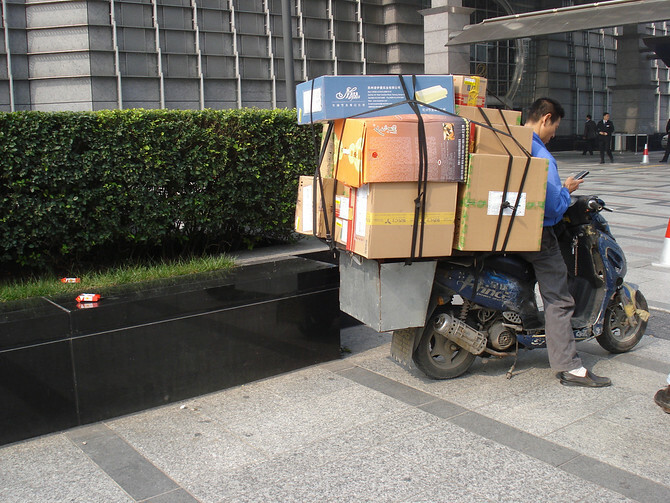 I am happy to report that people here use their bikes to carry improbable cargo like elsewhere in Asia. 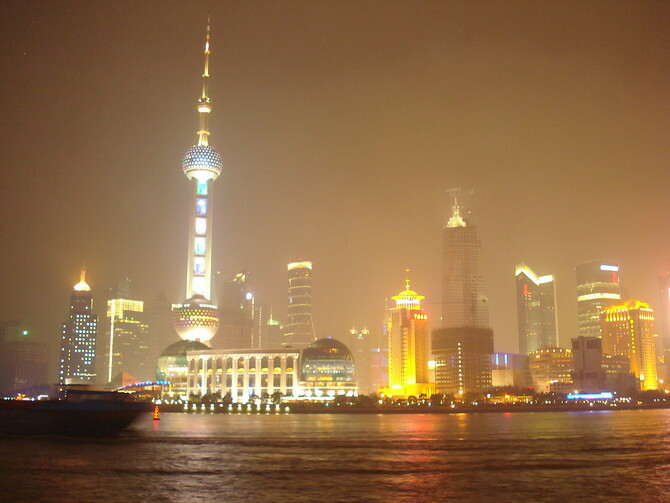 Shanghai is one of the largest cities on the world, and it has a skyline to match the population. If the smog ever clears you would have a view of nothing but tall buildings everywhere you look. 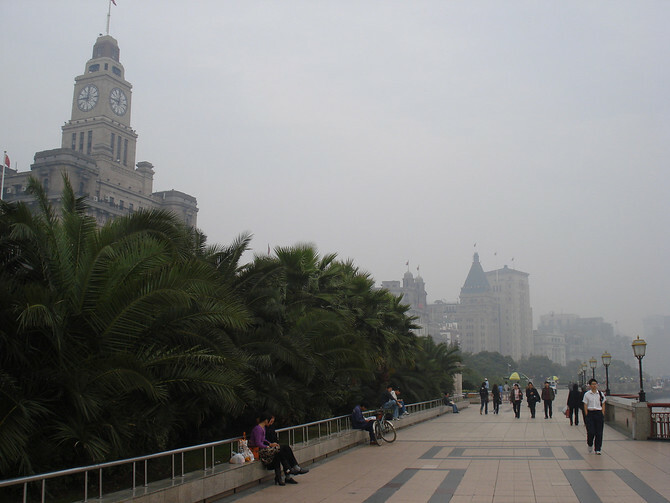 Shanghai has two distinct areas: Puxi and Pudong. 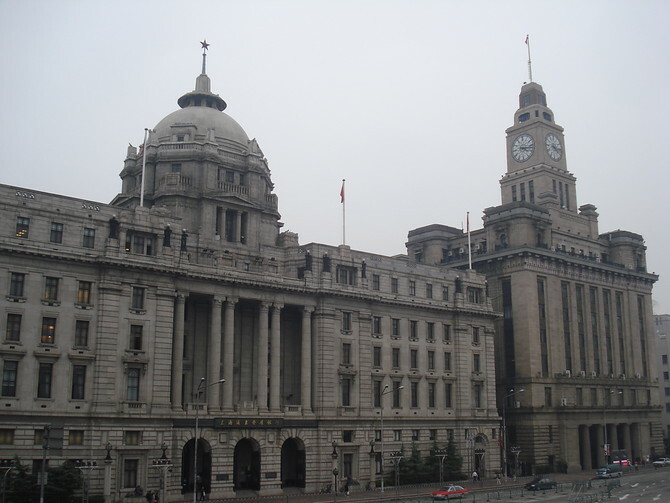 Puxi is the old city west of the Huangpu River, while Pudong is the new city east of the river. 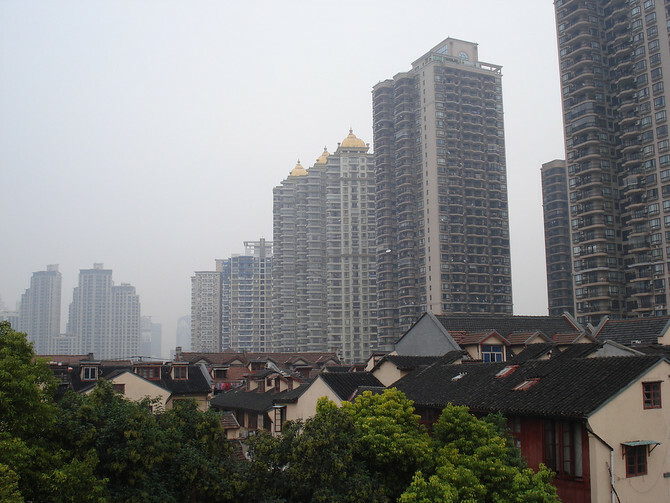 Pudong was mostly farmland until 1990, when it was designated as a New Open Economic Development Zone. The skyline on the Pudong side of the Huangpu river is now one of the best known skylines in the world. 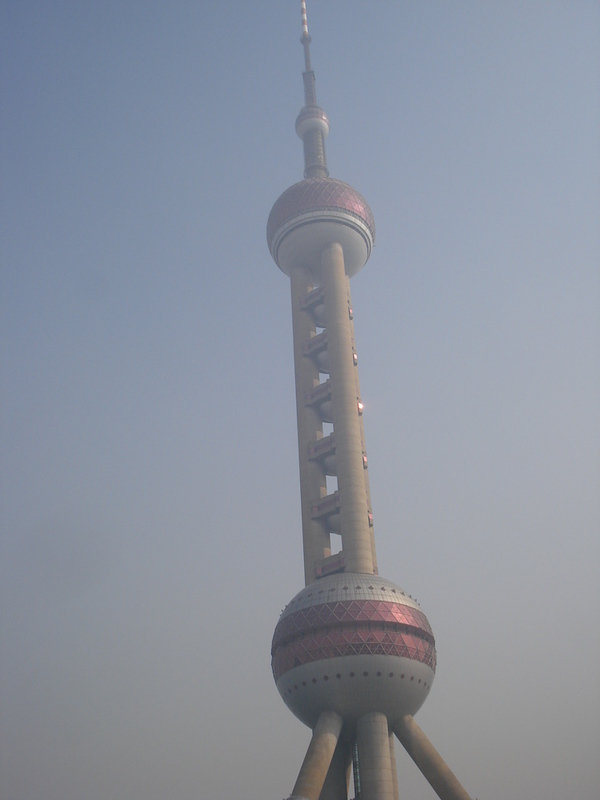 The Pudong skyline’s landmark building is the Oriental Pearl Tower, which gives the city a futuristic feel. 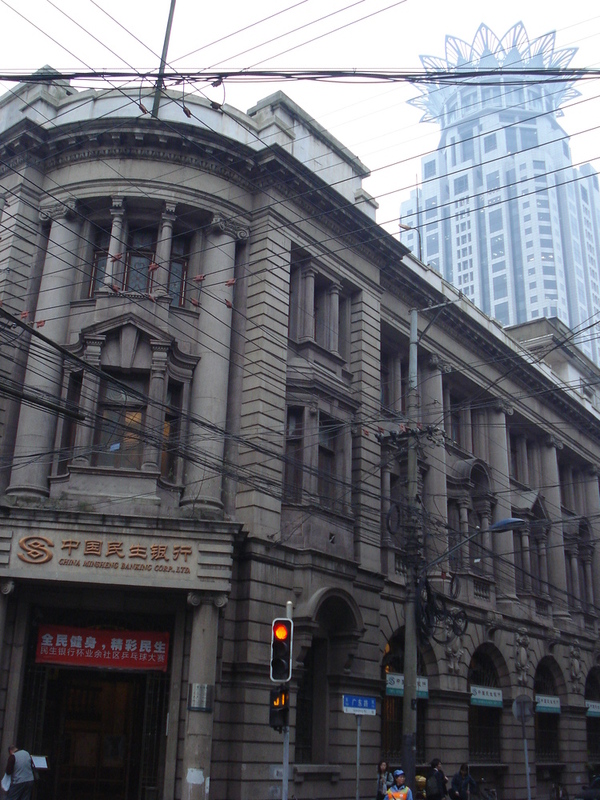 It is the 2nd biggest building in Shanghai. 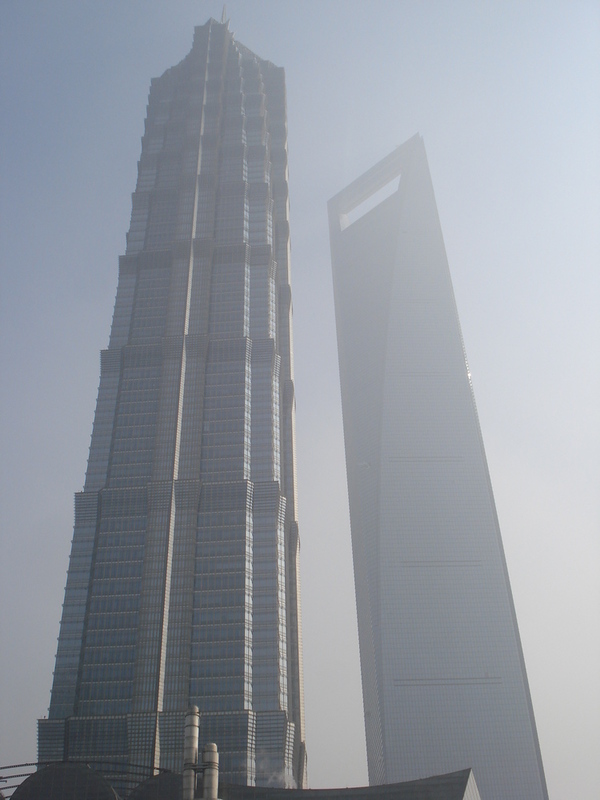 The first and third biggest buildings in Shanghai are the Shanghai World Financial Center and the Jin Mao Tower. 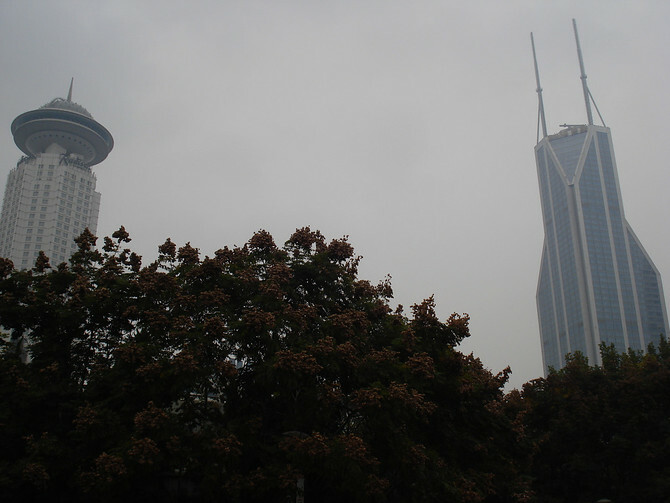 These two towers stand next to each other, and you could call them Shanghai’s twin towers, albeit fraternal twins. The SWFC is known as the bottle opener, for obvious resons. Puxi might be the old half of the city but it has an equally impressive skyline. Adding to the futuristic look of Shanghai is the Radisson Hotel Shanghai New World, with its spaceship-esque observation deck. 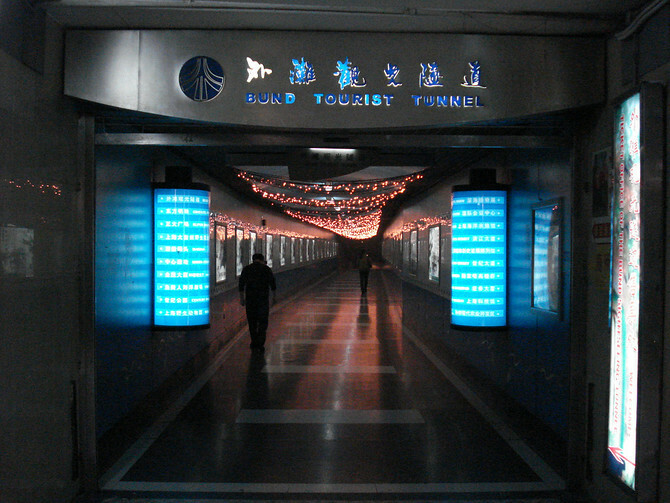 The Bund Tourist Tunnel is a train that runs under the Huangpu River in Shanghai, from the Bund side to the Pudong side. I was told that it was so bad that it’s good, so how could I not go with a sell like that. Well I went, and I must say it was so bad it was bad.